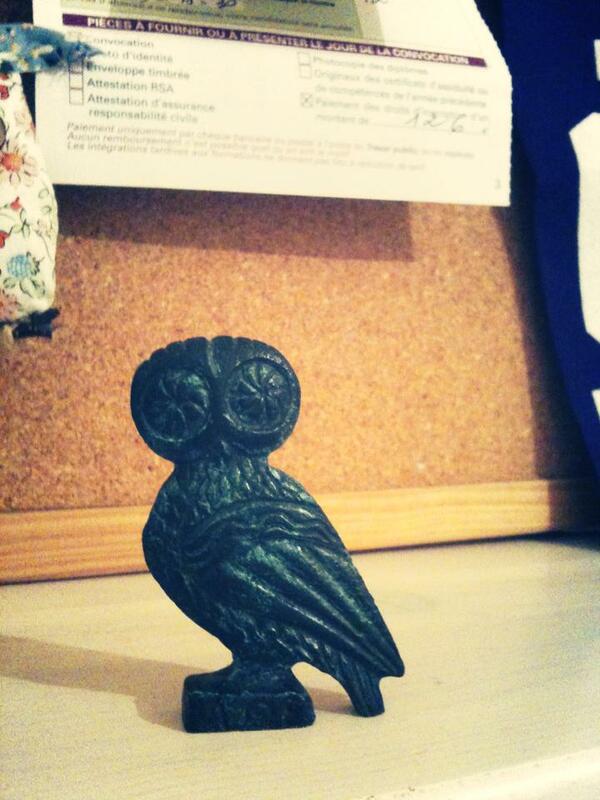 Say hello to my new owl!! 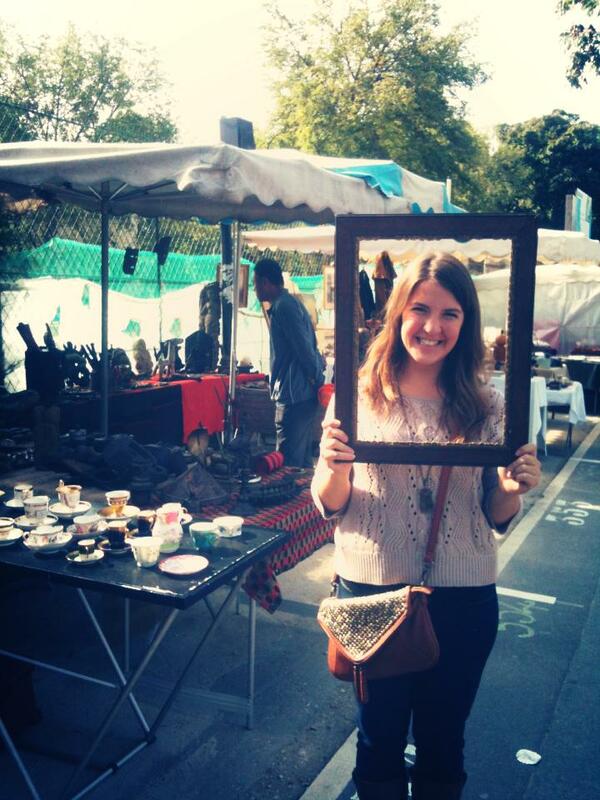 Since getting to Paris I’ve been dying to go to a flea market and scavenge! Then I met Ian. 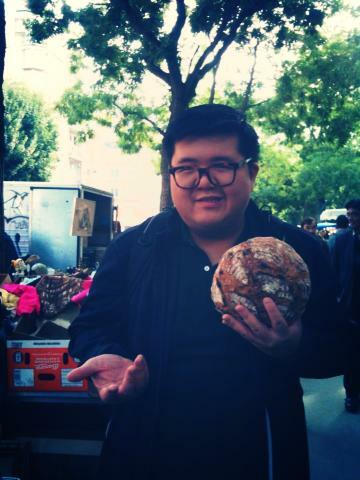 Ian of The Baking Chin at school one day. I can confirm that he does have nice buns- raisin buns!! hahaha! We soon started talking about bread baking (his specialty) and then dutch ovens and then to where said dutch ovens were bought- because as pastry students these conversations are completely normal and happen on a very regular basis.. want to talk about macaroons all dinner? onwards!! At the mention of a dutch oven collection based on flea market buys I was super excited and immediately asked – when can we go!! 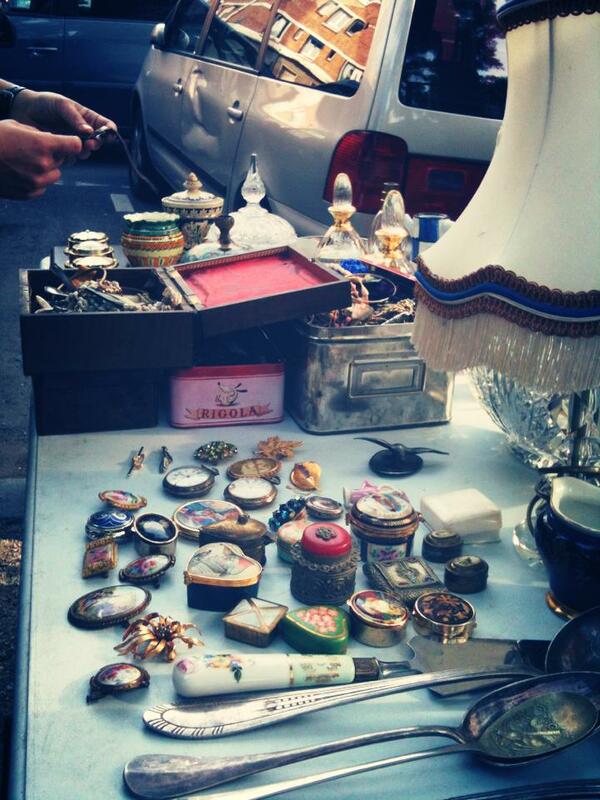 So we decided to meet at 9 at Porte de Vanves, the location of a medium sized flea market on Saturday. At 8 I received a message from Ian letting me and Tina know he’d be late and if we could meet at 9:30 instead. Well sure! In my sleep daze I remember thinking, well this is odd (but, yay more sleep! ), how did he already know he’d be late.. curious! But maybe that’s because I tend to message 10 minutes before I’m late, to tell the person I’m late…? We went through row after row of antiques- munching on pieces of raisin bread! yumm! I wish I had a house to decorate!! I ended up with a new owl and a picture frame that I have big plans for. 🙂 Which will require a couple more flea market trips- ooo darn! Oh and my cool new owl.. he’s a bit heavy. Maybe a paper weight in his former life? Maybe I’ll bring him to the Champ de Mars with me to hold down some papers- if i bring papers and if there’s some wind in the air. this will take some planning.